Go Marine Team – Donate now by clicking on the button in the bar on the right! Many believe that putting up a website is a one-time event. They think once it is launched they can go do other things and forget about it. Nothing could be further from the truth. Your website should be a living organism interacting with other websites, including social media sites. You also have to consider the search engines (e.g. Google, Bing, etc), which index your website’s pages for various keywords to bring potential customers to your site when they search for those keywords. It’s all dynamic and constantly changing and evolving. It is crucial to know about your website’s traffic if you want your website to help get you sales. If you don’t know what’s happening on your website, how can you know what needs to be changed or improved? If you are using search engine optimization on your website, you must be able to tell if it is effective. You need to install a good analytics package. We like to use Google Analytics. It is free and is a solution that many small businesses start with. But you need to examine the data it generates, regularly. It is a gold mine! Where your traffic is coming from. You will see which websites or search engines are sending you visitors, which keywords or search terms people used to get there, and the links they clicked on. This can tell you if you need to develop more inbound links, or do a better job with content for more relevant search terms. Information about your visitors. You’ll learn what cities they come from, which days they like to visit, which browsers they use, even what screen resolution they have. This tells you who you are attracting, and provides design considerations for your website. What’s working in your website – and what isn’t. You’ll see how long people stay, which pages they abandon, or whether they are converting to paying customers from particular online ads but not others. This will help you improve your website, your graphics and content, and your online ad campaigns. Sometimes a small change (moving a graphic from one spot to another, or a change in wording) can make a big improvement. If you are not using an Analytics Package, get one. If you need help installing Google Analytics, contact us at Wharton Website Design and Marketing and we will be glad to help you. Every day this week you will find a great SEO tip here on the Wharton Marketing blog. Keywords – Use only one key phrase or no more than 2 -3 key words per page. A page that is well optimized for one key phrase is way more desirable and will rank better than a page that poorly optimized for several words. Use between 200 – 500 words and use your key word or phrase in those words. Don’t force them in so that your content doesn’t make sense. Let them occur naturally. You are not just optimizing for search engines but for your viewers as well. Research your keywords to see if they are being used by people in search engines. Use analytics to see what keywords were used to find your site in the past. The wise use of keywords goes a long way in search engine optimization. Can Blogging Help During a Recession? 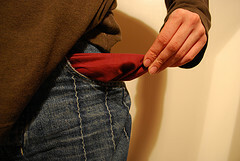 During recessions, people generally cut down on spending which can really hurt small businesses. But, you may say, I have lower price alternatives that they may be interested in. Wonderful, that is great news. Now how do we tell them about it? If your business is hurting, you probably do not want to spend a lot of money on newspaper ads and other, expensive traditional marketing. This is where a blog is a great answer. With your blog, you can tell your customers that you understand they need to cut back and how your business can help them. Not only do you get to offer alternative products and services, you get to connect with your customers by letting them know you understand their problems and you would like to help. And . . . the best news is blogging is soooo much less expensive than traditional marketing. We are on our 7th day with no power. I am currently at a friends posting this. I will be back to regular posting as soon as we get power back on. Hopefully soon! Forget Everything You Know About Making Money Online (and Start Making Some). The guys at Copyblogger offer some great information on their blog so while you’re there, look around. 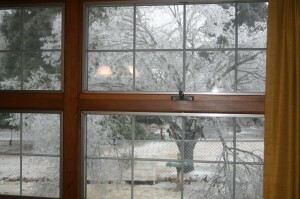 I’m writing fast today as I listen to tree branches breaking and falling from the ice that we got last night. We are supposed to get more today – YIKES. Stay safe out there. My business is very small, just me and two employees, and our product really can’t be sold online. Do I really need a website? Definitely, worth reading for anyone who is involved with small businesses.